Chicago is still buzzing (and actually still drinking) to the Chicago Blackhawk's big win. The stanley cup is resting in Chicago and the parade included a few hundred thousand fans. At PrivyDoll it is important to always stay fashionable, even if you are cheering on your team. Luckily, I found some cute alternatives to over sized jerseys for the fashionable, 'Privy' Fans. Vintage, fitted T shirts are on the must have list for female fans. I found this great one HERE for only $23.99. How cute is this fitted zip up sweatshirt?? There are only a few sizes left HERE. 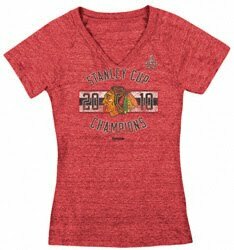 I bet the women outside today in the 90 degree humidity would of loved to have this Blackhawk tube top from Sports Authority. Snag some Blackhawk denim with these back pocket branded jeans. Found HERE.